Here are some of the papers that involve exergames, exergaming, or exertion games and interfaces for the upcoming CHI 2014 Conference in Toronto, Canada (April 26 - May 1, 2014). Game balancing can help players with different skill levels play multiplayer games together; however, little is known about how the balancing approach affects performance, experience, and self-esteem–especially when differences in player strength result from given abilities, rather than learned skill. We explore three balancing approaches in a dance game and show that the explicit approach commonly used in commercial games reduces self-esteem and feelings of relatedness in dyads, whereas hidden balancing improves self-esteem and reduces score differential without affecting game outcome. We apply our results in a second study with dyads where one player had a mobility disability and used a wheelchair. By making motion-based games accessible for people with different physical abilities, and by enabling people with mobility disabilities to compete on a par with able-bodied peers, we show how to provide empowering experiences through enjoyable games that have the potential to increase physical activity and self-esteem. Exergames, video game systems that require exertion and interaction, have been rising in popularity in the past years. 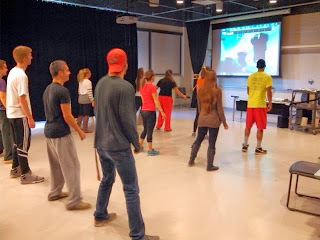 However, research on popular exergames shows mixed health benefits, potentially due to minimal energy expenditure and decreasing use over time. This paper presents a 2x2 experimental study (N = 44), using a popular exergame, where we vary the framing of intention (i.e., “Gameplay” or “Exercise”) and feedback (i.e., “Health” or “No health”) to explore their single and interactive impacts on perceived exertion, objectively measured energy expenditure, affect, and duration of usage in a single session. Our study showed that participants primed with exercise used the system significantly longer than those primed with game play (M = 49.2 ±2.0 min versus M = 39.3 ±2.0 min). We discuss our results and possible design implications based on our single-session experiment. 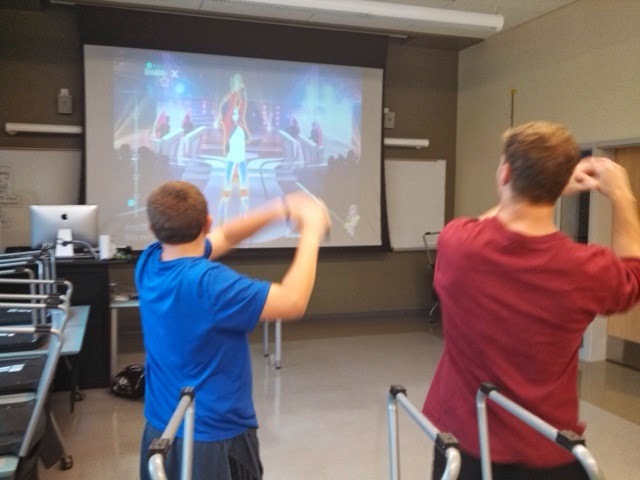 We conclude with a discussion on the potential impact of focusing on “healthifying” exergames—highlighting an exergames’ dual purpose as both a game and exercise—as opposed to gamifying health behaviors.